I earn 55,000 Naira per month and I want to invest in real estate. I want to start investing right away. So please help. The fastest way to get money to invest in property is to take a bank loan. 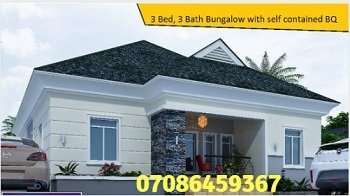 Suppose you wish to buy a plot of land in one of the new estates in Mowe Ofada. Land price is 600,000 Naira. Agency fee and survey fee will cost about 120,000 Naira. Total expenditure is 720,000 Naira. You can approach your bank and collect personal loan of 750,000 Naira payable over 3 yrs. Your monthly repayment of the loan and interest will be about 25,000 Naira. In 3yrs time when you complete repaying the loan, your land would have appreciated in value. Then you can take another loan to start building the house. The alternative to taking a bank loan is to take a cooperative society loan. The advantage of cooperative society is that interest rate is low. About 9% compared to about 19% for banks. If you are fortunate, your financial status may change before you finish repaying the first loan and you can start building your home even before you finish paying off the loan you took to buy the land.